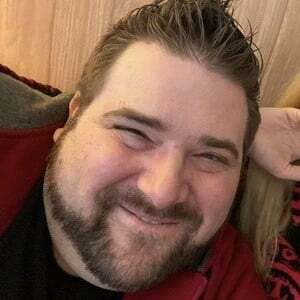 YouTuber best known for his wrestling action figure reviews, done as part of Grim's Toy Show on his sillySUPERPOP channel. He's also popular for creating GTS Wrestling animated match parody shows as well as prank videos. He is a life long toy collector. His first videos were part of a series called "Uncensored Superpop." His channel has amassed over 1.1 million subscribers. His real name is Dave Hitchens. His wife, who is known online as Heel Wife, has appeared in many of his videos. Together they have two daughters. One of his most viewed videos is called "31 inch John Cena Vs Grim Backyard Wrestling Trampoline Match! Giant WWE Action Figure."